The problem is that Window’s default power profiles are configured far too aggressively when it comes to core parking, especially on workstations. Their interest was in conserving energy, even if this meant marginally decreasing performance. A number of complex parameters control when a core should be parked, and Microsoft tuned heavily towards power savings. 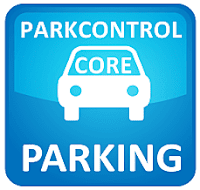 In our tests, we’ve found AMD processors benefit most from disabling core parking. This is perhaps due to the dramatic difference in the way AMD processors share (hardware) computational resources between logical cores. Microsoft optimized for Intel’s HyperThreading, which has much less capable secondary cores. AMD’s secondary logical cores are near full CPUs. YMMV, but if we didn’t see real and substantial performance gains after disabling core parking, we wouldn’t have authored this utility.